It's always summer in Barbados, even during the "rainy season". In July showers typically pass quickly and sunny blue skies are quickly restored. July does fall within the hurricane season, however the island has not been hit by a major hurricane since 1955. 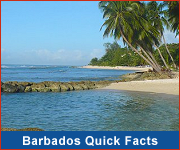 The last hurricane to directly affect Barbados was in 1980. Due to our position in the Caribbean, the likelihood of a direct hit by a hurricane or major storm is relatively low. July is a wonderful time to visit as many Barbados hotels are offering summer specials and deals. Check out BarbadosVacationSpecials.com for savings! Restaurants and car rentals also offer reduced prices at this time of year. Towards the end of the month prices pick up a bit as the Crop Over summer festival reaches its peak and visitors start flocking to the island. 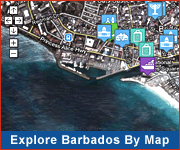 Visit WhatsOnInBarbados to see what Crop Over and other events (sport, music, dining, heritage, etc.) are happening in Barbados. Lots of visitors head to Barbados in July for Crop Over carnival celebrations. Be sure to book your accommodation early.